At Bromsgrove International School Bangkok Thailand, our boarding programme offers our students more than just a place to live while they are away from home; it gives them the opportunity to thrive in their work and also in their friendships. The most important aspect of our boarding programme is the care a support given to your child. We ensure that each student that boards at Bromsgrove is given the opportunity to work to the best of their ability by offering them further support, encouragement and individual care outside of school hours. What does boarding offer a student? Boarding offers our students the chance to succeed beyond the classroom. It does this not only by encouraging each one of our students to become independent, well rounded and confident beings but also by providing them with the supportive working environment that they need in order to achieve the grades they work towards during the school day. A friendly and welcoming environment where students can feel relaxed and at home. We are proud to offer boarding facilities which are second to none. Located on a thirty-six hole golf course with stunning panoramic views our boarders are able to take advantage of all that is offered to them. Space for them to work out of school hours, football pitches, swimming facilities, sports equipment and courts are all just at a glance from their windows in Windsor and Tudor house. Our two modern and inviting boarding houses offer our boarders comfort and space to relax, work and spend time with friends. Flexi Boarding provides opportunities for last minute and one off stays in Boarding. Many parents use this option throughout the term for last minute business trips, family emergencies or for their child to experience life in Boarding before moving to a weekly or full boarder. Other students chose to stay for school events and competitions, especially at weekends. As part of our flexi boarding, we also offer students the chance to stay after school and take part in the Enrichment and Academic programme between 15:30 and 18:00 every Monday to Thursday, with dinner provided. Throughout the term there will be other opportunities where day students are invited to stay in Boarding from different events throughout the year or as part of our weekend trips. 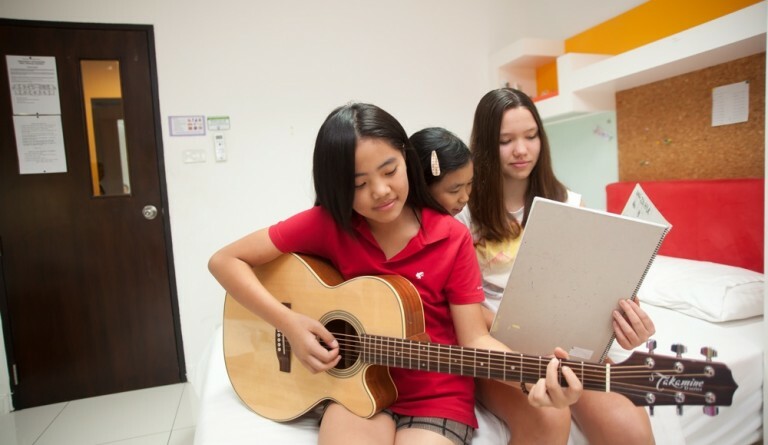 Weekly Boarding at Bromsgrove International School Bangkok is described as “the best of both worlds”. Our five day school week offers our students the opportunity to spend time in the week focusing and working towards success so that on a Friday afternoon, when they return home, they can spend quality time with their families. The advantage that this will give your child is that they will mature with the independence and confidence which boarding will give them and you, as the parent are able to watch them grow into adults. Weekly boarding cuts out the daily travel to and from the school allowing the students to have more time to learn and relax during the week. Over half of the Boarding community at BIST are full boarders, who have moved to BIST from places all over the world including the UK, Korea, China, Russia, Europe and Samui. For Full Boarders, Boarding at BIST really is their home and it provides them with opportunities to develop independence and rest and relax with their friends, whilst also taking part in weekly trips around Bangkok.